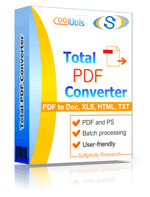 Total PDF Converter converts PDF to DOC, RTF, TIFF, XLS, HTML, EPS, PS, TXT, CSV, PDF/A and images in batch. Unlike other batch PDF converters, the Total PDF Converter is extremely user-friendly thanks to a well-planned interface. Additionally, registered users gain direct access to command line support for quiet automatic functioning on the back end. Get the full desktop version that does not require Internet connection or sharing your files online. 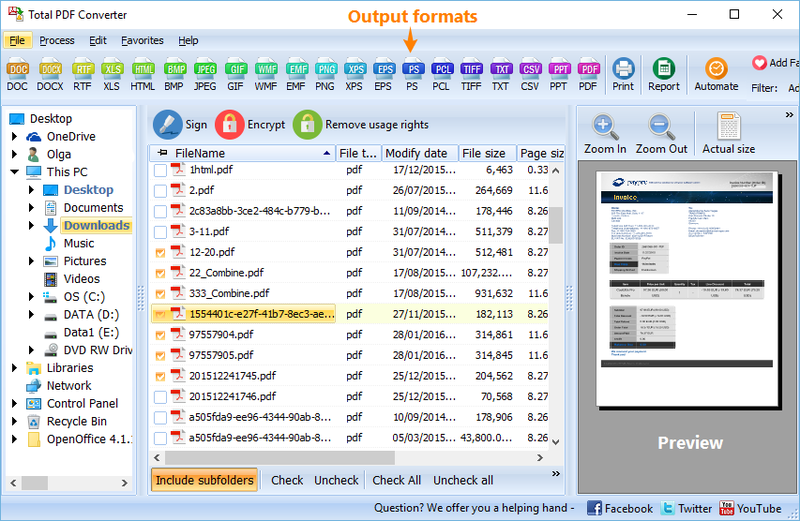 Convert PDF files in batches, whole folders in one go. Add page numbers to your output files. 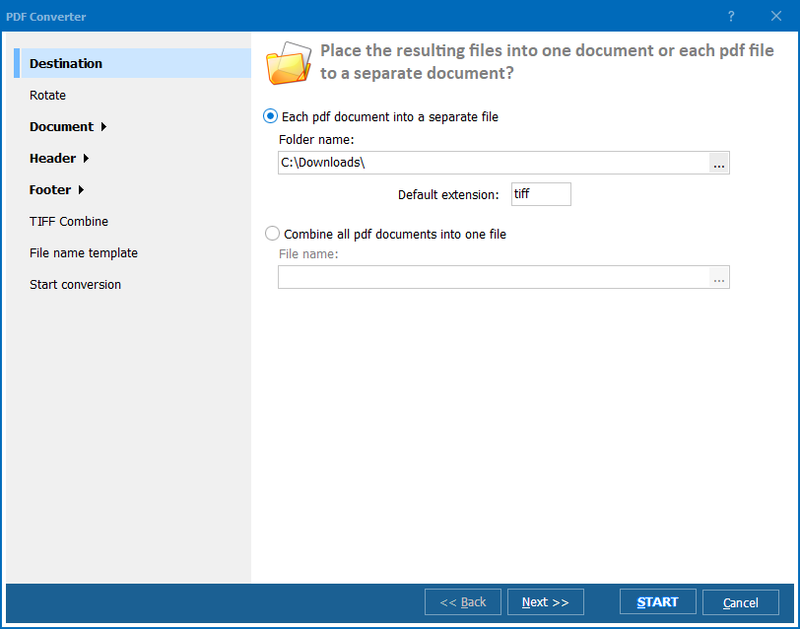 Convert several PDF files into one Doc or DocX. 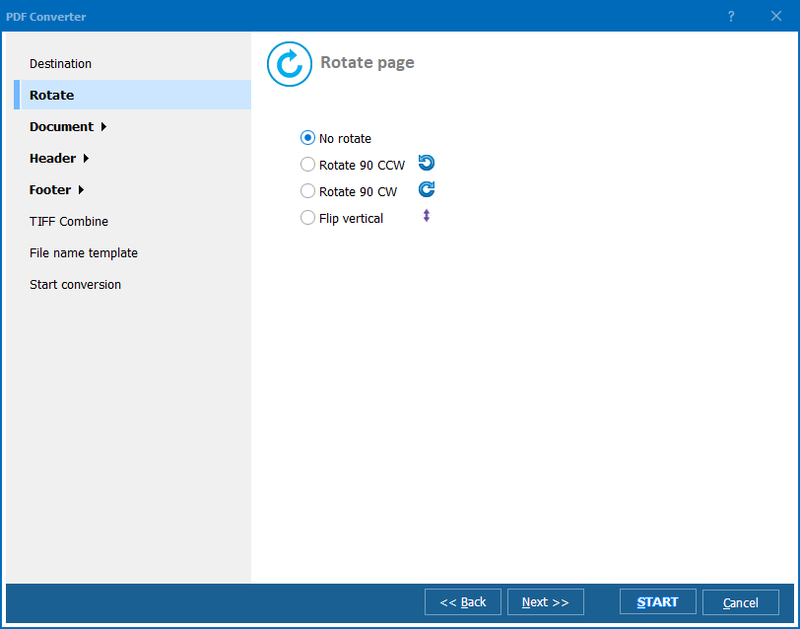 More unique options..
With support for over 25 different formats Total PDF Converter is neither complex or difficult to use. 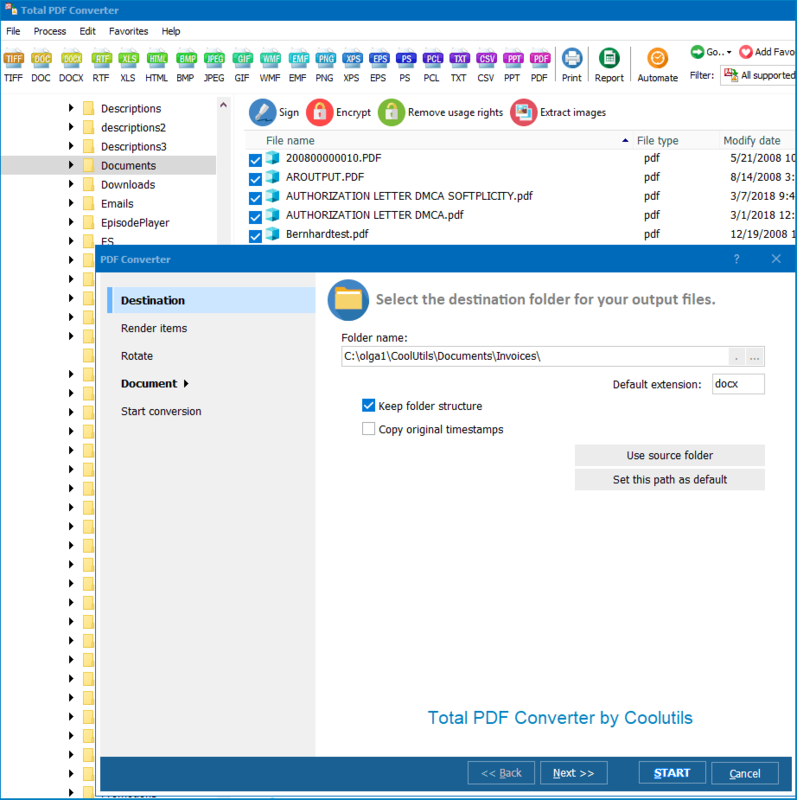 If you need a server version without any GUI or interrupting messages check out the Total PDF Converter X with ActiveX. Buy your license today and convert PDF files with the full registered version in 5 minutes. "My company had us download the free version of your PDF converter software, but when it expired our Compliance Assistant search for a replacement. I went ahead and deleted the PDF Converter from my computer. Then our company decided to purchase your product, since it was the best option they could find. I then purchased the PDF Converter. Regarding your question on how we utilize the PDF Converter: My company uses the pdf converter to backup patient documents from our electronic medical records system. The downloaded files are PRN files that we then need to converted to PDF so we can read and store the documents on a backup disk." 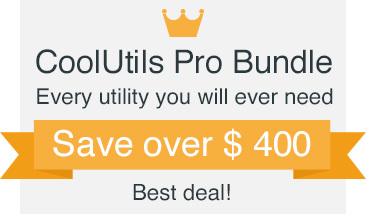 It's quite easy to convert files with our powerful program. Download and install the app following the instructions. Select file or several files (batch conversion is available) and press the button of the output file type. It can be DOC, DOCX, RTF, XLS, HTML, BMP, JPEG, GIF, WMF, EMF, PNG, EPS, PS, TIFF, TXT, CSV or PDF/A. Note that if you want to convert Word documents to PDF, try our Total Doc Converter. The settings window offers you several inlays. Go through them and make appropriate settings. You can skip these steps; in this case your PDF files will be converted with the default parameters. Press Start! Button and get the output files in your destination folder.